Kester Black nail polishes have long been a favourite of mine and they’ve recently released their first ever line of hand & body soaps. 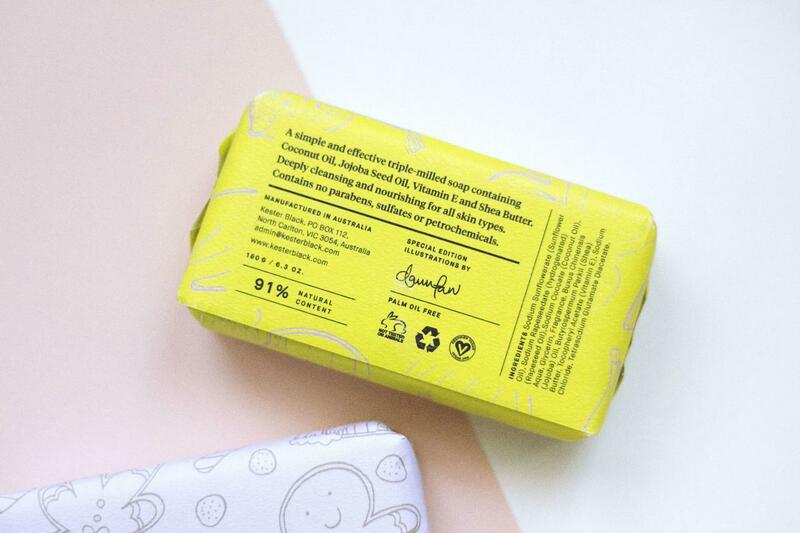 Not only do the soaps smell lush (helloooo gingerbread deliciousness) but they also contain nourishing Coconut Oil, Jojoba Seed Oil, Vitamin E and Shea Butter. If that isn’t enough to win you over, just look at that ridiculously cute packaging featuring special edition illustrations by the talented Dawn Tan (future collections will see Kester Black collaborate with a range of Australian artists and designers). 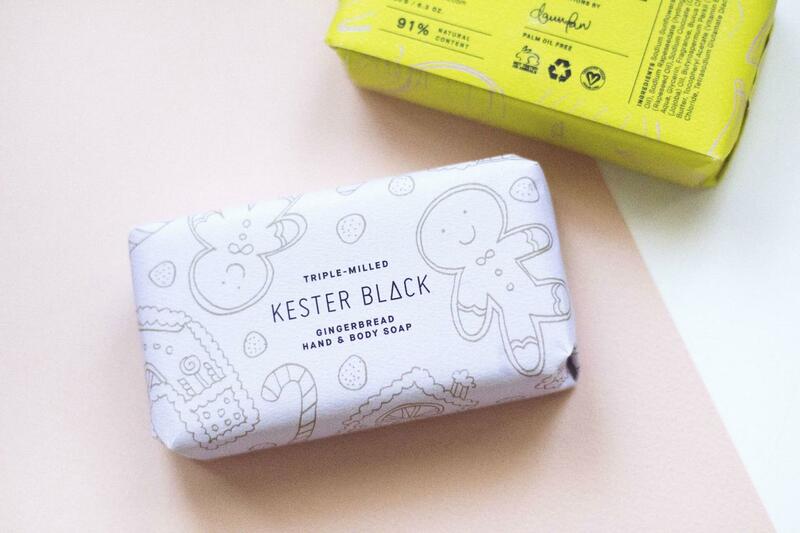 I’ve been making more of a conscious effort to use beauty products that are ethically produced and the Kester Black ethos is one that really appeals to me. On top of creating some ace stuff, Kester Black products are CCF (Choose Cruelty Free) accredited and are free from nasty chemicals. Their new hand & body soaps stay true to that ethos and are free from palm oil, parabens, sulfates and petrochemicals. On top of that, Kester Black are Australian made and owned and employ sustainable production methods. I think that’s the definition of a feel-good product right there. 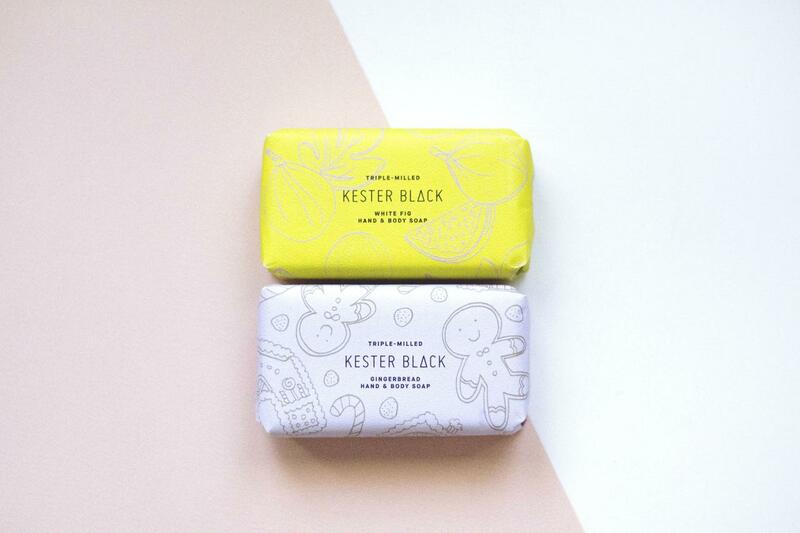 The soaps are available to buy through Kester Black’s online store or from selected stockists across Australia and New Zealand. I'm not really a soap bar person either, mainly because they get a bad rap, but these are pretty good. They don't have any of that nasty stuff usually associated with soap bars which is a big selling point for me. The white fig is probably the most soap-y smelling if that makes any sense. I'm all about the gingerbread one though. So good! these are some lovely looking soaps, be a nice xmas gift.